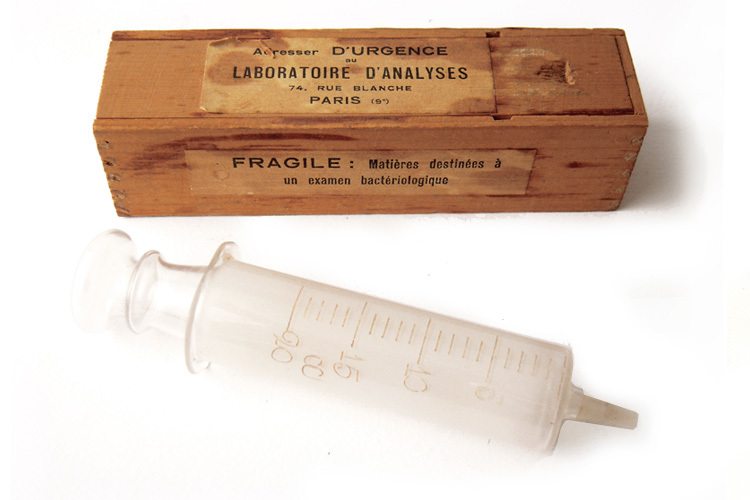 A rare wooden cased blown glass Lab syringe for bacterological exam. 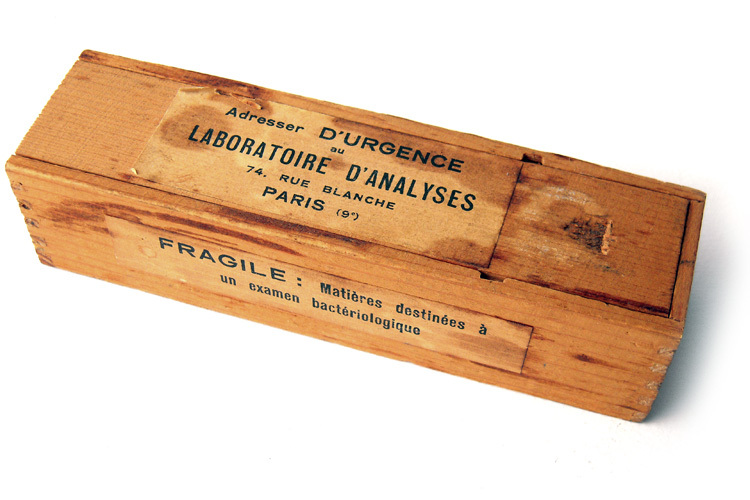 The case is ready to be post with all original labels for urgent delivery to "Laboratoire d'Analyses - 74, Rue Blanche - Paris". 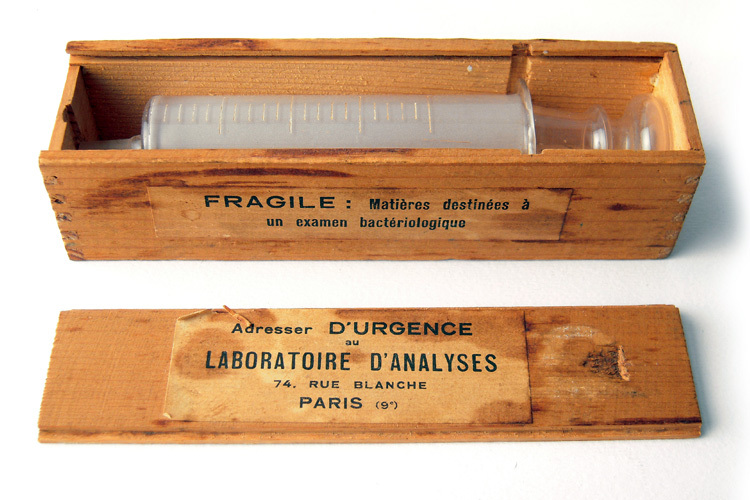 Syringe have hand written numbers on glass body. Very nice original patina on wood. 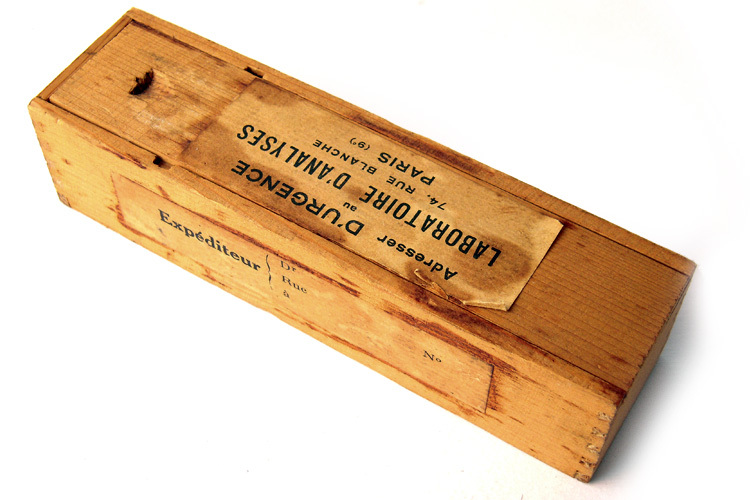 Dated end of 19th early 20th c. Case size 13,2x3,6x3,4 cm.